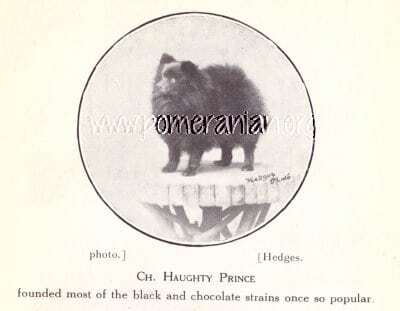 HATCHAM NIP Sire: Unknown Dam: Unknown Colour: Black Breeder: Unknown Owner : Mrs Marlow 4.5 lbs. 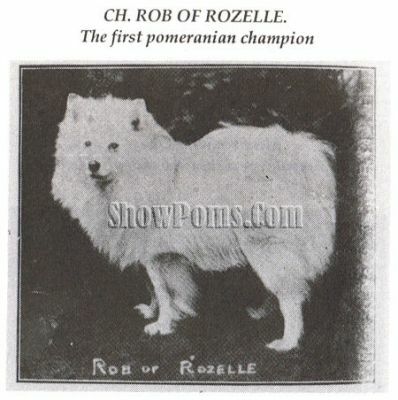 Champion Hatcham Nip was exported by his owner to the USA, Becoming the first Pomeranian to win on both sides of the Atlantic. C.C. winner twice at Crufts dog show. 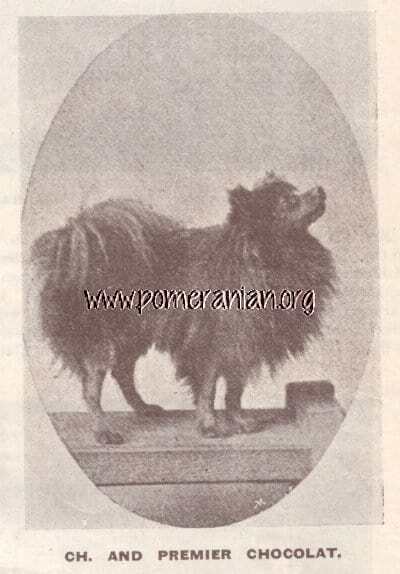 NANKY PO (KCSB) Sire: Dr Nansen Dam: Lady Clare Colour: Shaded Sable Breeder: Mr. W. Birkinshaw Weight 8.5 lbs Born 23rd September, 1901 Has won 40 prizes and many specials, including First and Hall-Walker Cup for best sable at Crufts; First Brighton; First Crystal Palace Kennel Club Show 1903; First Birkenhead; Two firsts and first Brace and Team at Manchester Pomeranian Club Show; Two firsts and first Brace and team at Darlington; First and first Brace at Lancaster; First Cheetham Hill: Second Open, first Team Crystal palace Kennel Club Show 1904. 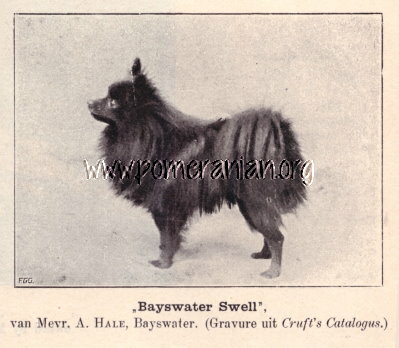 THE SABLE MITE (KCSB) Sire: Little Nipper Dam: Laurel Fluffie Colour: Shaded Sable Breeder: Mr. P. Hirst Weight 4.5 lbs Born 21st December, 1902 Winner of 70 prizes and numerous specials. prizes include during 1904: Four first Blackpool. Three firsts Reigate. Three firsts Hitchin. Two firsts and the championship Birkenhead. Two firsts, silver shield for Best Pomeranian in Show and first in Brace, Team and Non-Sporting Team Richmond; three firsts and championship also first Brace and Team, Darlington; three firsts and special for Best Pomeranian in the Show Baldock, two firsts and Burton Cup (won outright) for best dog any breed in the show Bakewell: two firsts and Hall Walker Cup for best sable, also first Brace and Team Crystal Palace Kennel Club Show, also Pomeranian Club Challenge Cup. SHELTON SABLE ATOM Sire: Little Nipper Dam: Cinderella Colour: Shaded Sable Breeder: Mr. J. Fielding Weight 4.5 lbs Born 10th September, 1903. 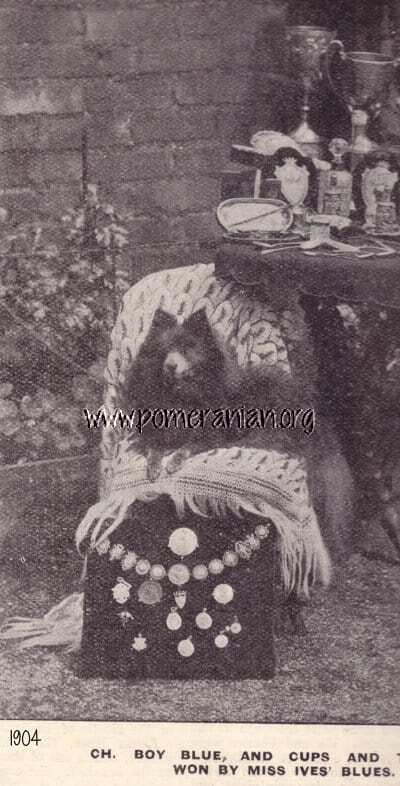 Prizes won during 1904 include four firsts and special for best Toy, Harpenden; Three firsts at Sheffield; Three firsts and best Brace and Team Manchester Pomeranian Club Show; two firsts, first in the Brace, team and non-sporting team and 25 gns. 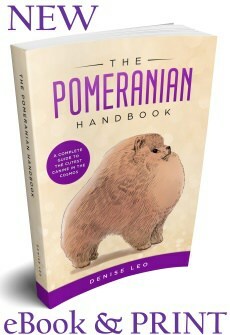 cups for Best novice Pomeranian, Richmond; one first, Darlington; two firsts and special for best Pom. 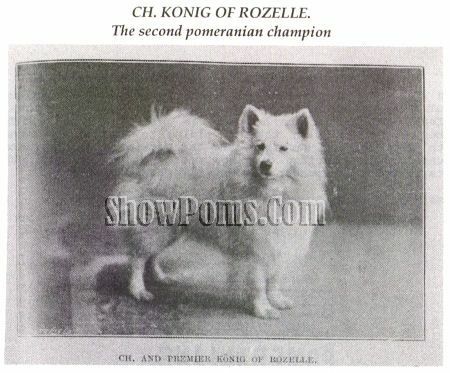 in the Show, Woodstock; two firsts and the championship, Southampton; one first and two seconds ( beaten only by the Sable Mite), Crystal Palace kennel Club Show. he won altogether 43 prizes and many specials before he was 14 months old.